Precisely imagined... 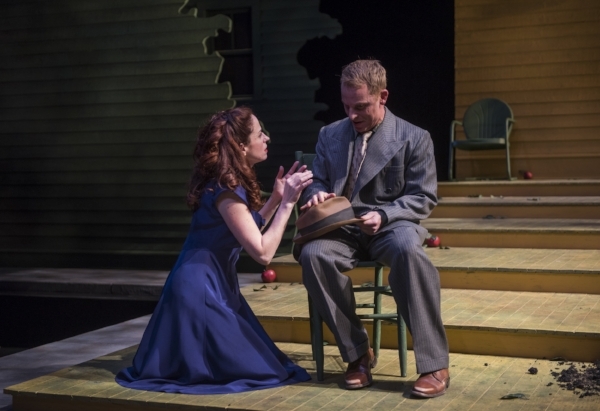 The magnificent revival of Arthur Miller’s All My Sons, now playing at the Court Theatre, is a gripping and compelling production precisely imagined and perfectly staged by Charles Newell, Court’s Marilyn F. Vitale Artistic Director. Fact-based story... Following the public disgrace of a criminal conviction during World War II, for which he has been officially exonerated, Joe Keller is back on top, having rebuilt his family manufacturing business and unifying the family circle around him. There is a messy untold truth in Miller’s fact-based story that thrusts two families into a morass of moral responsibility, social justice and survival. Stellar performances... John Judd brings depth and power to tough guy Joe Keller, haunted by the prospect of losing his family legacy, and fearful of losing the love and respect of his son. His tormented wife Kate, an electrifying performance by Kate Collins, alternates between victim and protector. Timothy Edward Kane is terrific as Chris Keller, the troubled love struck son who lives in his brother’s shadow and longs for happiness with Ann Deever, played by the captivating Heidi Kettenring. Johanna McKenzie Miller(Sue Bayliss), Karl Hamilton(Dr. Jim Bayliss) and Dan Waller(George Deever) all stand out in an ensemble of stellar performances. Striking scenic design.. John Culbert's striking scenic design with Keith Parham’s dynamic lighting and period costumes by Jacqueline Firkins, all combine to transform the intimate Abelson Auditorium into Joe Keller's multi-tiered back yard of the 1940's. The takeaway... An artist’s truth is laid bare when the art painfully intersects with reality. That infusion can only then spew out with equal parts of raw emotion and extraordinary technique. 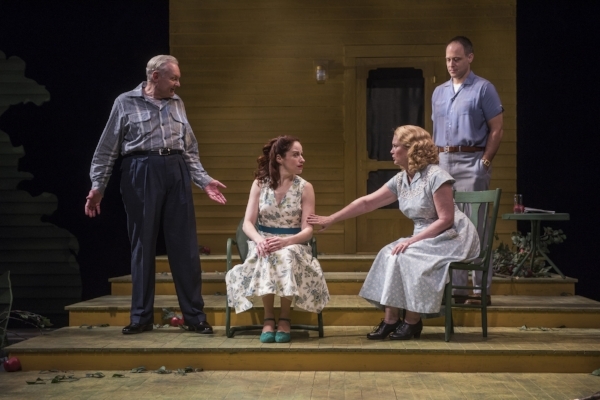 This brilliant combination is at the core of Court Theatre’s exceptional production of Arthur Miller’s All My Sons, a rendering of which the playwright – and Steve Albert – would overwhelmingly approve.